In the world of security, the demand for centrally managed electronic access control has drastically increased in the past decade. Having true access control for your business doesn’t just mean controlling access to high security areas, it also means ensuring that employees and visitors can gain access to the areas needed at the right times with minimal barriers. With new technologies constantly being released, how do you determine which system is best for your facility? 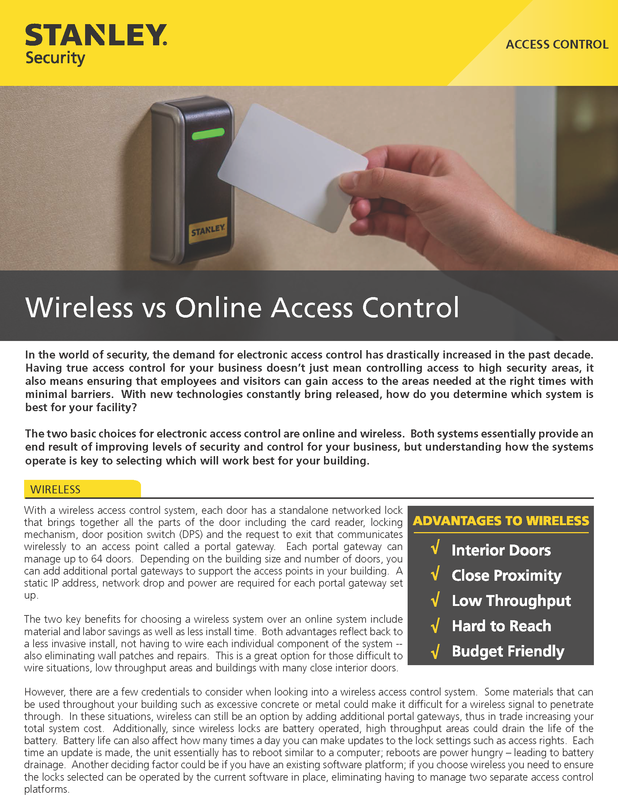 The two basic choices for centrally managed electronic access control are online and wireless.